Ms. Lindsey is the proud Owner/Artistic Director of Dancers Only Studio & Instruction. She established the studio back in July of 2007 and is thrilled to have successfully completed her 10th Anniversary Season this past June with a thriving studio consisting of over 250 students. Lindsey has been studying all forms of dance for the past 32 years and has over 16 years of teaching experience. She has worked extensively with accredited dance teachers and choreographers throughout the New Orleans and Baton Rouge areas as well as participated in several competitions and conventions across the U.S. receiving numerous awards along the way, both as a company member and solo performer. Lindsey is a graduate of Louisiana State University holding a Bachelor of Science degree in Business Management and a Minor in Dance. She was a 4-year member of the LSU Dance Ensemble and had the privilege of choreographing for the ensemble for 2 consecutive years as well as performing in various faculty and student choreographed works. She was honored in 2005 with an invitation to the Louisiana Alliance for Dance choreographer showcase. She has appeared with Fox Kids, Sports Illustrated, and Louisiana Casting. She was the co-choreographer for the 2003 Miss LSU Pageant opening number, has danced down the streets of The Magic Kingdom in Disney, Orlando, composed several song and dance productions for the LSU Greek system, and was an improv performer for the Baton Rouge Art Melt. However, one of her most cherished accomplishments was leading the Chapellette Dance Team to a State Championship victory back in 2000! Lindsey remains active in the Dance Team community, choreographing, judging and lending her expertise to local dance teams in the area. Several of her students have gone on to make their high schools dance teams as well as being appointed Captains & Co-captains. Lindsey established the National Award Winning "DOCC", the studio based competitive team, back in 2008 and over the past 9 years her students have been recognized for top honors at various competitions both regionally & nationally. They have been title holders, scholarship recipients and have won 4 National Championships in the past 5 years. In the summer of 2013, her students were offered the opportunity to be filmed, appear & compete in the Masters of Dance Arts competition for the Season 3 Finale of “DANCE MOMS” here in New Orleans and walked away being awarded one of Top 5 schools in the competition. In 2014, Lindsey was awarded the Teacher Scholarship at THE PULSE Dance Convention. She continues to travel to take classes from and expose her students to the most sought after choreographers in the dance industry such as...Mia Michaels, Twitch, Sonya Tayeh, Brian Friedman & Nick Lazzarini, just to name a few. She continues to educate & push herself year after year to keep up with the latest trends developing in the dance community. Lindsey has a true passion for performing, choreographing and especially teaching dance and she is happy to be sharing her knowledge and experiences with her students! Ms. Kat is the Department Head for our Ballet Program and is the Assistant Director of the DOCC. She has been studying all types of dance for the past twenty-five years. She has worked closely with knowledgeable choreographers and teachers throughout her career. Katherine has participated in several dance competitions and conventions across the country. She has choreographed for studios and dance teams throughout the New Orleans and Tangipahoa Parish areas. She has judged local and state dance competitions for the Universal Dance Association for cheer/dance teams in Louisiana. Katherine has traveled nationally as a member of the Sudden Impact Dance Company and is a former member of the Hammond Ballet Company. She has also performed during New Orleans Saints and New Orleans Hornets half time shows. Katherine attended St. Mary’s Dominican High School where she was captain and choreographer of the Dominican Debs Dance Team. 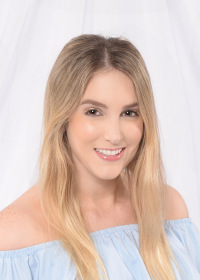 Katherine has graduated from Southeastern Louisiana University with two Bachelor of Art Degrees in Business and Marketing with a minor in English Literature. She was a five-year member of the nationally ranked Lionettes Dance Team where she choreographed dances performed during Southeastern football and basketball seasons. Katherine also had the pleasure of performing winning competition dance routines on ESPN. She has also been seen on FOX news, CST, WWL and The Southeastern Channel. Katherine is a former dance instructor of Lemoine Academy of Dance in Hammond, LA and and has been with Dancers Only for the past 7 years. Katherine is honored to share her love and knowledge of dance with others and hopes to inspire students to reach their fullest potential in their dance training! Ms. Bridget joined the Dancers Only faculty in the inaugural year. She is the Department Head for our Pre-School Program. She has studied dance since the young age of 4, training in Tap, Jazz, Ballet, Pointe & Lyrical at various schools including Debbie’s Dance Academy, formerly located in Kenner, LA as well as Company One & Tari’s School of Dance in Baton Rouge. Bridget grew up competing in numerous local and national dance competitions winning several awards as a member of the competition team. While in high school, Bridget was a member of the award winning Chapellette Dance team, State Champions in 2000. She was also an assistant teacher for several ballet classes ages 4-12 during her high school years. Bridget went on to graduate from Louisiana State University in 2005 with a B.S. in Elementary Education. While at LSU, she also managed to find time to study Ballet. She is a former second grade teacher at St. Pius X and has been teaching dance for the past 9 years. She is an extremely dedicated and nurturing teacher and makes sure the young dancers get the best experience out of every class they attend. In addition to being a dance teacher, Bridget is also a stay at home mom for her 3 wonderful children, Lucy, Grant & Millie. Her daughters Lucy and Millie are in their 6th and 1st year here at Dancers Only. Ms. Bridget is a wonderful asset to our staff and we love having her! Ms. Brooke has been dancing since age 3 and performed as a studio dancer for Helena Hosch School of Dance until age 13. Brooke was a Jesuit Jayette in High School for 4 years. She became Co-Captain her junior year and Captain her Senior year. At 18 years old, Brooke auditioned for a spot on the New Orleans Saintsations and was a dedicated member of this team for 4 years. Now as a Saintsation alum she represents the Saints as a former NFL Cheerleader choreograping for the team. Brooke graduated from Tulane University majoring in Public Relations with a minor in Dance. She is a former staff member of the VIP DANCE Competition and also choreographs and instructs private lessons by appointment. Brooke performed at the famous artist, Ray Donley’s Birthday Party and at Blaine Kern’s Annual Halloween Party in the “Thriller” performance in 2009. 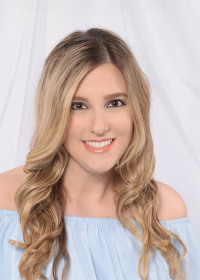 Since 2011, she has appeared in Music Videos as a Dancer/Choreographer and/or Model for the New Orleans “Voodoo Dolls” band, Lynne Spears’ client, Amanda Ducorbier, “The Jonas Brothers” and country singers, Billy Currington and Clay Walker! Brooke received her first SAG/AFTRA credit as a professional choreographer for the movie Sticky Notes, filmed in 2014. While shooting this film, she had the opportunity to work one on one and teach choreography to famous actress, Rose Leslie from Game of Thrones. The latest SAG Music Video/Commercial Brooke worked on this year was the DIRECTV “Fantasy Football” video posted on YouTube featuring Peyton, Eli, and Archie Manning. She worked with famous dancer, Danielle Polanco from the movies, Step Up 2 and Step Up 3D for this commercial/music video. Brooke’s favorite part of what she does is being able to share all of her experiences with younger dancers all over New Orleans. All you need is motivation, courage and faith and you can do it all! The children adore Ms. Brooke and we are lucky to have her heading up our Hip-Hop program here at Dancers Only! Ms. April comes to us with an extensive background in dance, gymnastics and cheer. April takes her love of each and applies it in her tumbling and acro classes. Dancing since the age of two, April has studied tap, ballet, pointe, jazz, lyrical and tumbling. As a 6-year member of her childhood competitive team, she has been to numerous conventions and workshops where she had the opportunity to study under many national and international dance teachers. April has competed regionally and nationally as a group member and solo performer as well performing. at many local events. She realized her love for children and teaching dance at a young age while assisting dance classes throughout middle and high school. After her daughter was born, she returned to her childhood dance studio, where she has assisted dance class and taught tumbling for the last 11 years. As a young child, April began gymnastics class at the City of Kenner Gymnastics Program and went on to compete in floor, beam, bars and vault for 2 years. She continued to study tumbling throughout high school at her local dance studio. April began cheer at the age of 11 and has competed locally and nationally with her nationally ranked high school cheer team. In addition to performing on ESPN, her team was invited to share the sidelines with the New Orleans Saints Cheerleading Team, where they cheered at all Saints home games for the season. Her love for cheer brought her back to the sidelines when her son started playing football. For five years, she coached a victorious competitive cheerleading team for the Kenner Recreation Department. When not at the dance studio, April spends her time in her art studio, creating artwork which she sells in local shops and art festivals. She loves to explore different art mediums, crafting, refinishing furniture and everything creative. April is happily married to her husband Kevin and their pride and joy are their two children… Ethan and Emma. We are thrilled to have April on board at Dancers Only! Ms. Lauren started taking dance and tumbling at a local dance studio in Kenner, LA at the young age of 2. In her younger years, she had the opportunity to be a member of her Grammar School Dance team, as well as her High School Dance Team, the Archbishop Chapelle H.S. Chapellettes. During high school, Dancers Only opened its doors in 2007 and Lauren along with her twin sister Lindsey made the switch and continued their training at Dancers Only until graduation. During her years at Dancers Only, she became a class assistant for both dance and tumbling classes at the studio; completing our Teacher Graduate Program in her Senior Year. Ms. Lauren also danced competitively for a few years under Dancers Only, attending conventions and competitions throughout the region. Ms. Lauren and her sister Lindsey attended college at Our Lady of Holy Cross College, graduating in 2013 with a Bachelor’s Degree. She moved to Houston, TX to further her education in the medical field and is now working as a Radiology Therapist. Ms. Lauren returned to Dancers Only in 2015 as an Assistant Teacher and is now a Lead Instructor for Pre-School and Kinder aged classes. We are thrilled to have Lauren and her sister Lindsey, two of our students and Teacher Graduates back home teaching for us! Ms. Lindsey, along with her twin sister Lauren, started taking dance and tumbling at a local dance studio in Kenner, LA at the young age of 2. In her younger years, she had the opportunity to be a member of her Grammar School Dance team, as well as her High School Dance Team, the Archbishop Chapelle H.S. Chapellettes. During high school, Dancers Only opened its doors in 2007 and Lindsey along with her twin sister Lauren made the switch and continued their training at Dancers Only until graduation. During her years at Dancers Only, she became a class assistant for both dance and tumbling classes at the studio; completing our Teacher Graduate Program in her Senior Year. Ms. Lindsey also danced competitively for a few years under Dancers Only, attending conventions and competitions throughout the region. Ms. Lindsey and her sister Lauren attended college at Our Lady of Holy Cross College, graduating in 2013 with a Bachelor’s Degree. She moved to Houston, TX to further her education in the medical field and is now working as a Radiology Therapist. Ms. Lindsey returned to Dancers Only in 2015 as an Assistant Teacher and is now a Lead Instructor for Pre-School and Kinder aged classes. We are thrilled to have Lindsey and her sister Lauren, two of our students and Teacher Graduates back home teaching for us! Megan Waguespack, Peppy Cervini & Jessica Touchet - Bio's Coming Soon!